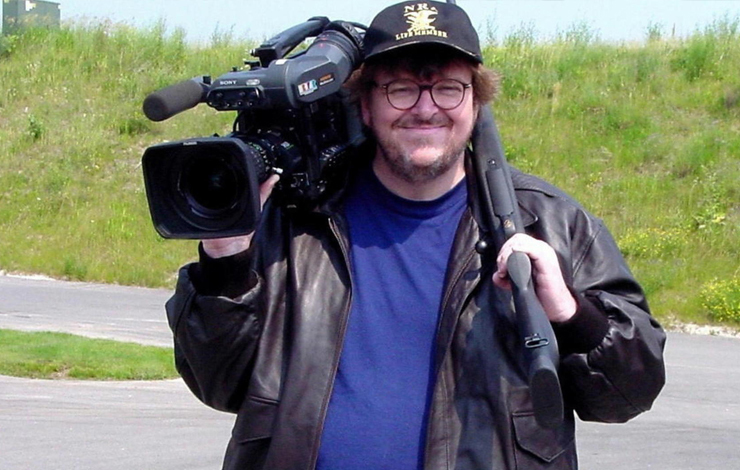 Michael Moore changed the face of documentary film when he made Bowling for Columbine in 2002. Of course that film came nowhere near the blockbuster grosses of Fahrenheit 9/11, which Moore made two years later. But Columbine was the movie that first demonstrated the box office potential of documentary films, and it paved the way for many more successes. This had something to do with Moore's genius at self-promotion, but it was also a result of the energy and flair he brought to a genre that many people still associated with dreary educational films. Beyond that, however, Bowling for Columbine is Moore's best movie. (It even won the Oscar, which allowed Moore to give his controversial acceptance speech denouncing the invasion of Iraq.) It has a few of the excesses that drive his critics bananas, but it also has an intellectual weight that none of his other films can match, and it's almost sinfully entertaining as well as intellectually stimulating. The subject of guns in America is one that I find particularly meaningful, and it's become even more important in the five years since Moore made the movie--partly because almost no one today is willing to broach the subject. Gun control has become an issue that no major politician in either party will address; even most Democrats have surrendered to the NRA and the gun lobby. So that makes the film seem even more courageous and precious today than when it first opened. Yet the brilliance of Columbine is that it goes beyond the obvious bleeding-heart-liberal lament about the prevalence of guns in America. Moore challenges some commonly held assumptions by showing that Canadians are just as much in love with guns as Americans yet have almost no gun violence directed at humans. Moore questions and undercuts a lot of the usual explanations for American violence, demonstrating that many frequently intoned theoriesAmerica's bloody history, its love of hunting, the ease of acquiring gunsare not unique to our society. Moore's thesis, which he later elaborated in Fahrenheit 9/11, is that the fear-mongering that permeates American society contributes to our epidemic of gun violence. Canadians do as much hunting as Americans, but they don't kill each other, maybe because the media in Canada are not overrun with stories about violence or frightening phenomena like an invasion of killer bees or the Y2K meltdown that usually turn out to be complete fantasies. With everyone on edge in this climate of fear, it's no wonder that so many Americans are trigger-happy. Moore challenges his audience with new ideas, and that's a rarity in documentaries, which often preach to the converted. In Columbine, he demonstrates the curiosity of the best journalists, who set out to explore an issue without knowing in advance what their conclusion will be. This film is a mind-teasing inquiry that also uses a dazzling array of filmmaking techniques, including a witty animated set-piece about the history of violence in America. The ambush interview of Charlton Heston that ends the movie may be the most famous bit, but it's not what makes the movie memorable. This thought-provoking, vibrant film sets a gold standard for documentaries.